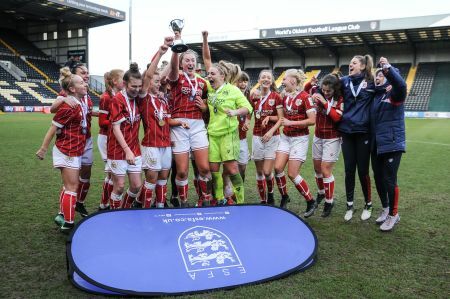 This afternoon we saw the finals of two of the ESFA Under 18 Girls’ Schools’ and Colleges’ Cups played at Meadow Lane in a celebration of girls' football on International Women's Day. 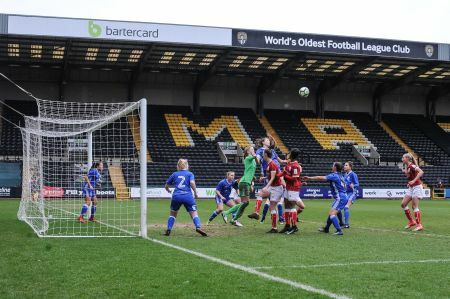 The home of Notts County football club played host to two finals, the first of which put Solihull College against South Gloucestershire and Stroud College in the Under 18 Colleges' Cup. The match was a toughly contested affair which saw South Gloucestershire and Stroud College score an extra-time winner to take home the trophy with a 3-2 victory. 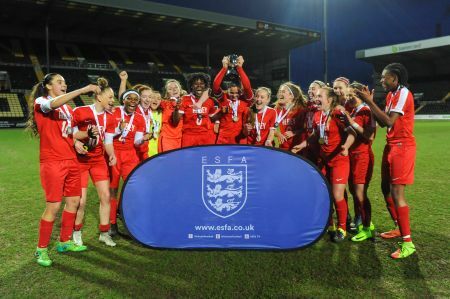 The second match of the day saw the Under 18 Girls’ Schools’ Cup defending champions Barking Abbey School putting their title on the line against Thomas Telford School. A strong defensive display in the second half and a number of outstanding individual performances saw Barking Abbey run out 3-0 winners at full time. A huge thank you to all of today's teams as well as our hosts, Notts County FC, our teams of female match officials, ballgirls and mascots!